Each year, the Institute of Digestive Disease (IDD) welcomes overseas doctors to train in the fields of gastroenterology, hepatology, endoscopy, and laboratory. Our past visiting fellows hail from all parts of the world: Canada, Switzerland, Netherlands, Israel, Australia, New Zealand, Japan, Bangladesh, etc. 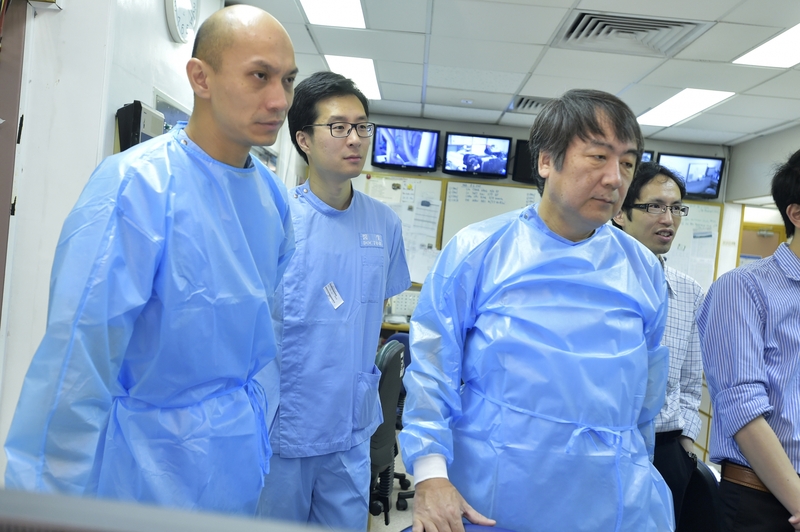 Canadian doctor, John CT Wong, current participant of the Endoscopy Attachment Programme, shares his experience with Scope. Scope: Why did you choose to do your training in Hong Kong? Wong: My prior gastroenterology training was in Canada and the United States. The main reason for coming to Hong Kong is to get experience in the practice of gastroenterology in Asia. Interestingly, the types of gastro-intestinal and liver diseases in Asia are not necessarily the same as those in North America. For example, H pylori infection and associated peptic ulcer disease and hepatitis B related cirrhosis are more common in Asia, whereas in North America, inflammatory bowel disease and hepatitis C related cirrhosis are more frequently encountered. GI cancer epidemiology is also different. In the West, esophageal adenocarcinoma predominates, compared to esophageal squamous cell carcinoma and gastric cancer in the East. These differences have implications for different diagnostic and treatment modalities, and this is what I came to get a perspective on. S: Have you considered other countries in Asia? W: There are other well-recognized endoscopy centres in Asia but there are language and licensing requirements that might be more challenging to meet. Hong Kong has the advantage of being a multilingual city, so English speakers have no language barrier here. S: Why CUHK’s IDD rather than other institutions? W: IDD is internationally recognized in the GI field. The IDD team, including Professors Joseph Sung, Francis Chan, Henry Chan and James Lau, have cultivated and developed an excellent and comprehensive training and research programme. Various ‘landmark’ trials conducted at the Prince of Wales Hospital have drastically improved management of multiple facets of gastroenterology across the world. To be in this training environment is unique and exciting. S: What does your training entail? W: My training involves clinical endoscopy and research. As mentioned, due to differences in disease epidemiology, endoscopic expertise varies. For example, endoscopic submucosal dissection of early gastric and colonic neoplastic lesions is well established here. This year also provides additional opportunities for me to develop my skills in advanced endoscopic procedures like endoscopic ultrasound, endoscopic retrograde cholangiopancreatography, and endoscopic stenting. My main research interest relates to the role of endoscopy in GI malignancies. Through research by Professors Joseph Sung, James Lau, and Henry Chan, IDD has played a prominent role in advancing understanding of colorectal and liver cancer. I will be working with the group on existing projects on optimizing colorectal cancer screening, and hope to develop my own ideas for further exploration too. S: What do you think of the physical training environment? How does this compared to Canada? W: Because of the excellent reputation of the Prince of Wales Hospital, it has developed enduring relationships with industry partners. New equipment is frequently trialed here for feedback for further development. 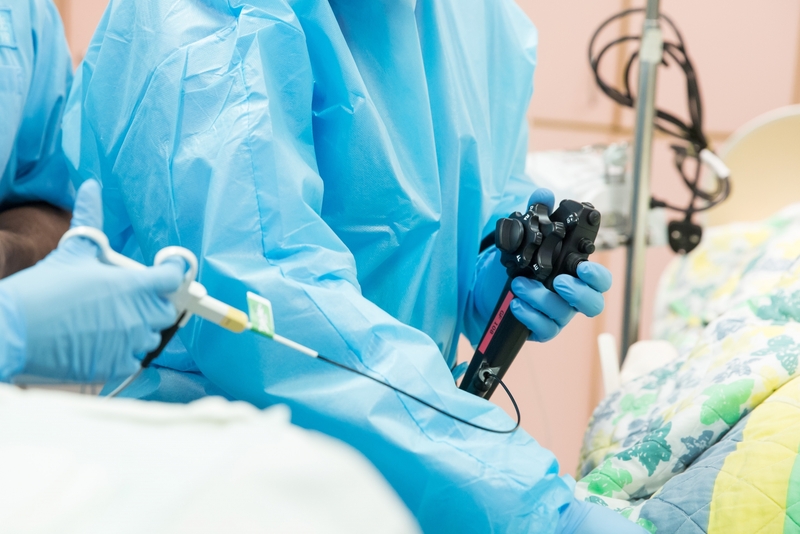 Using these cutting-edge technologies is very exciting and provides insight into future endoscopic development. In Canada, funding limitation can make it challenging to gain access to the latest equipment. The research infrastructure is also excellent here, due to the dozens of clinical studies performed here. S: Do you find your training here helpful in terms of your professional development? W: In the field of endoscopy, you want to get as much experience as possible. Different regions of the world have varying expertise in endoscopy partly because of disease epidemiology. Training both in North America and Asia gives me a unique perspective on managing a greater range of diseases than if I had trained in just one country. This year is also an opportunity to understand the excellent research infrastructure at IDD, developed from years of running clinical studies. S: What is your impression of the professors, administration staff, and your colleagues? How do you find the work culture here? W: The staff here is superb. For example, Professors Henry Chan and Justin Wu lead excellent teaching rounds for medical students and residents. And because of IDD’s tradition of training overseas physicians, the colleagues and nursing staff here are very welcoming, and have been assisting me to adapt to a new living and working environment, something for which I am very grateful. Administrative staff are likewise very skilled and were indispensable during the application and licensing process. Overall, it is a privilege to work alongside the many respected leaders, mentors, clinicians, teachers and researchers. I believe other trainees will similarly attest to the excellent and supportive work environment at IDD. S: What are your plans after your training? W: There are many decisions to weigh when considering future plans, like work-related factors, living environment, personal and family preferences. In addition to being a clinician, I enjoy teaching. After having been and still being mentored, I feel that it is important to in turn share my experience with students and young physicians. Continuing endoscopic research activities to advance our understanding and management of GI diseases would also be a goal. Ultimately, a supportive and resourceful work environment with mentors who share my career goals, and where I can in turn contribute using my unique training, would be ideal.